MV Anina prior to sinking. The Caribbean nation of Grenada has added another vessel to its burgeoning collection of diveable wrecks. At 6.20 on 21 March, the MV Anina sank to her final resting place on a sandy bottom near to the famous Purple Rain reef. Successfully scuttled as an artificial reef, the wreck sank undamaged and came to rest on its starboard side at a depth of 30m (100ft). Built in 1970 in East Germany under the name MS Trinwillershagen, the 60m-long container ship spent her early years cruising the Baltic and the North Sea from her home port Rostock. After German unification, she made her way to St Vincent. Re-registered in 1992 as the MV Anina, she began shipping cargo between the Caribbean islands, but became stranded in Grenada due to mechanical and financial difficulties. 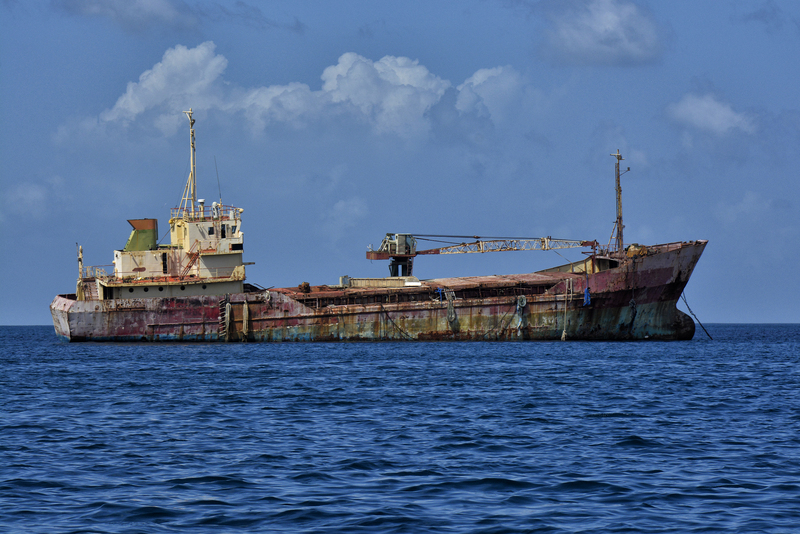 Non-operational for several years, the vessel remained anchored near the Grenada fish market. The owner volunteered it to the Grenada Tourism Authority (GTA). Together with the Grenada Hotel and Tourism Association and the Grenada Scuba Diving Association, funds were raised for cleaning and sinking the vessel. At the end of the cleaning process, the ship started taking on water. With most work completed, the Anina was towed to her final resting place and sunk as planned. A dive team from Aquanauts Grenada was first on the scene to evaluate the safety of the wreck for diving. With everything secure, the first group of divers followed an hour later. The bottom of the ship is already shrouded with in orange cup coral and is home to many fish. Being spring in the Caribbean, it immediately became a haven for large schools of silversides seeking refuge from the jacks, tuna, and other predators.